Okay, enough babbling, let's eat some cookies! These cookies are from the Specially Selected line, which is a bit fancier than Aldi's other products, and the package design is more mature and sophisticated. Is it the best design ever? No. You have to remember, these items are store-brand and no-frills, so for a store brand item to have a layout as sophisticated as this, is pretty special. I like the simple and clean design, and the color scheme is very cool-toned and pleasant. 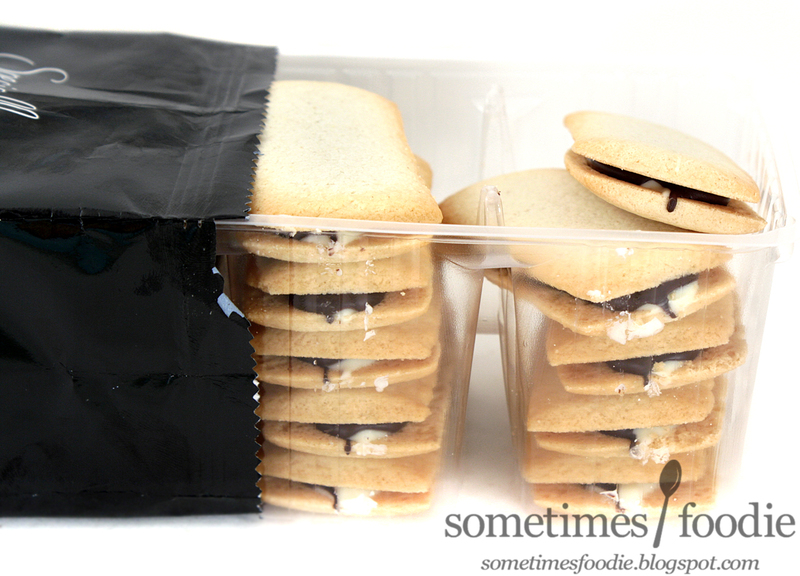 I opened up the package, and the cookies are lined up in stacks inside a plastic tray. 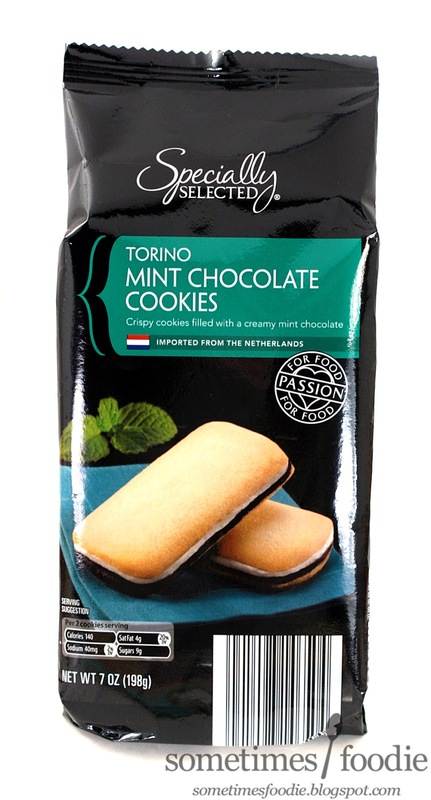 Looking at the product itself and this packaging, I feel like this is Aldi's version of a chocolate peppermint Milano cookie. The cookies smell buttery and lightly sweetened, with a hint of chocolate and mint. The aroma is really reminiscent of Andes mints, and the cookies look a lot like the Couque D'asses (Ha! That name, I still can't get over it.) that I reviewed a few months ago. 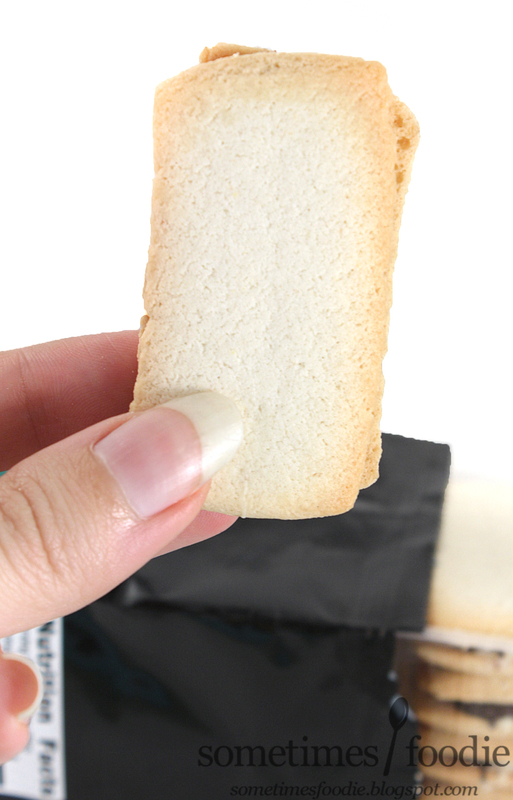 I took a bite, and the cookie was light and flaky, but not as flaky as the Couque D'asses. 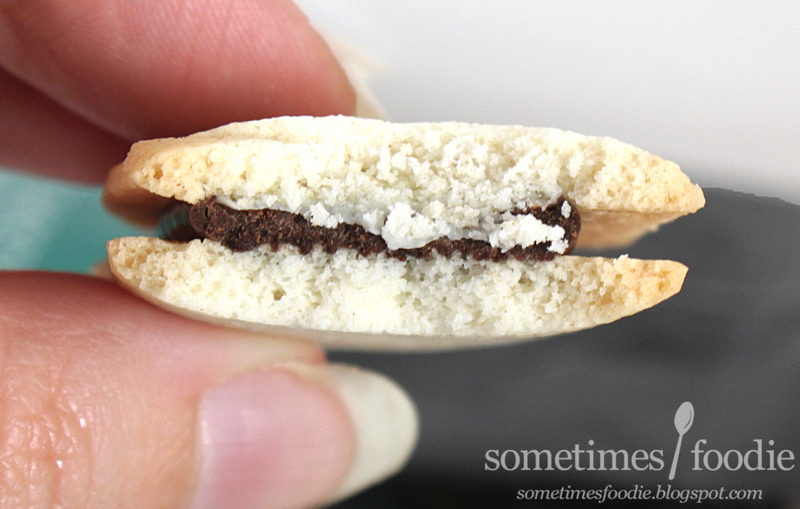 This is more similar to a Pepperidge Farm's Milano cookie, but still, it isn't quite the same, this is more like a combination of the light biscuits from Couque D'asses, mixed with those classic butter cookies that come in those metal tins. (The ones that everyone uses as a sewing kit.) 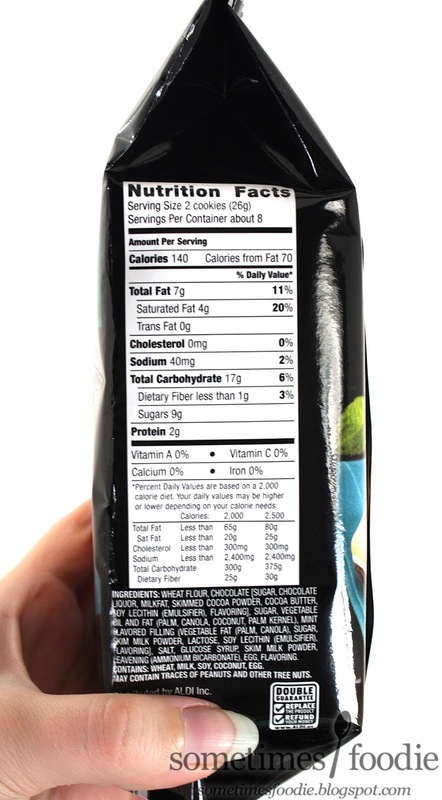 As for the filling, it's very similar to the flavoring of Andes mints, just a bit more mellow. The chocolate is much more powerful than the mint, but all of the flavors and textures work very well together. I really liked these cookies a lot, and these are by far the best cookies I've ever bought from Aldi. They are flaky, tasty, and they look pretty fancy for a store brand product. These might make a nice addition to your holiday cookie trays, and they go really well with hot cocoa and coffee. I would say this is definitely worth buying, and I would easily buy it again!